Notes: Middle name may be Harvey. Primitive Baptist preacher. Mentioned in Mentioned in Civil War in Wise and Buchanan Counties. 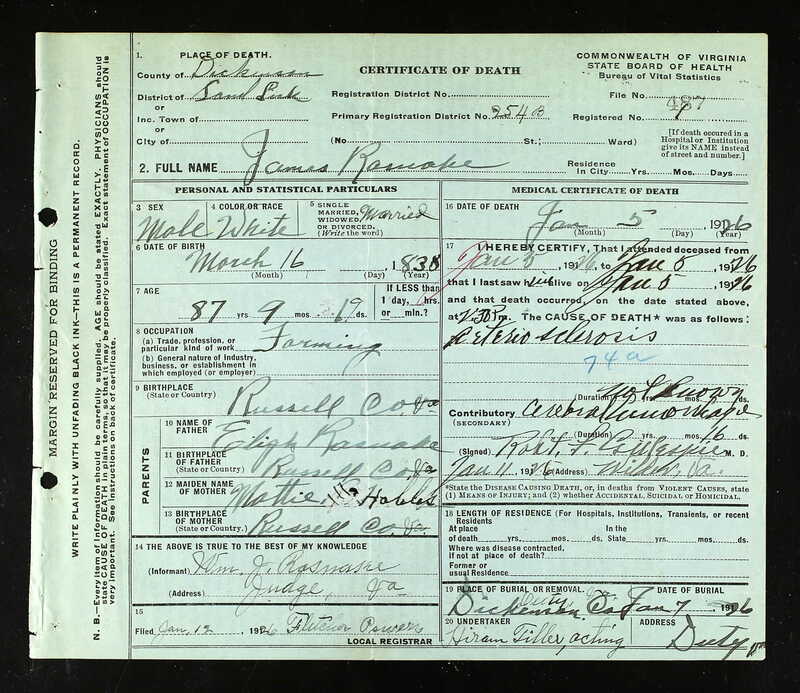 There is a James H. Rasnake on the 1900RU CEN, age 57. Two different men. KY PEN says lived in Pike Co. KY for 30 years, wife dead. Confusion. Name not borne on rolls of any co. of said Reg't. See 2075055 for S. of S. in case of James Rasnike, pvt. Co. E, (Capt. E. K. Counts), 21st Va. Cav. C. S. A. 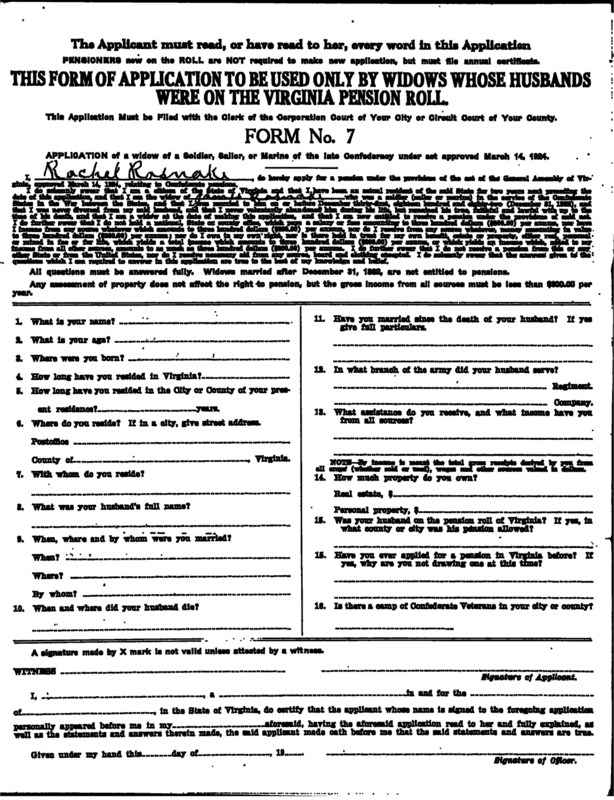 No record has been found in this office of service, capture or parole of a man named James Rasnake as a member of any company of the 22d Reg't Virginia Cavalry, C. S. A. 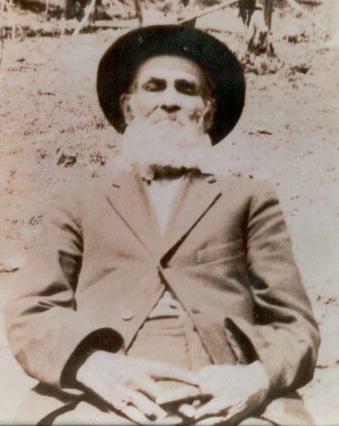 The records show, however, that one James Rasnike, private, Co. E, 21st Virginia Cavalry (also know as Peters' Reg't of Cavalry), C. S. A., enlisted March 28 (year not stated). 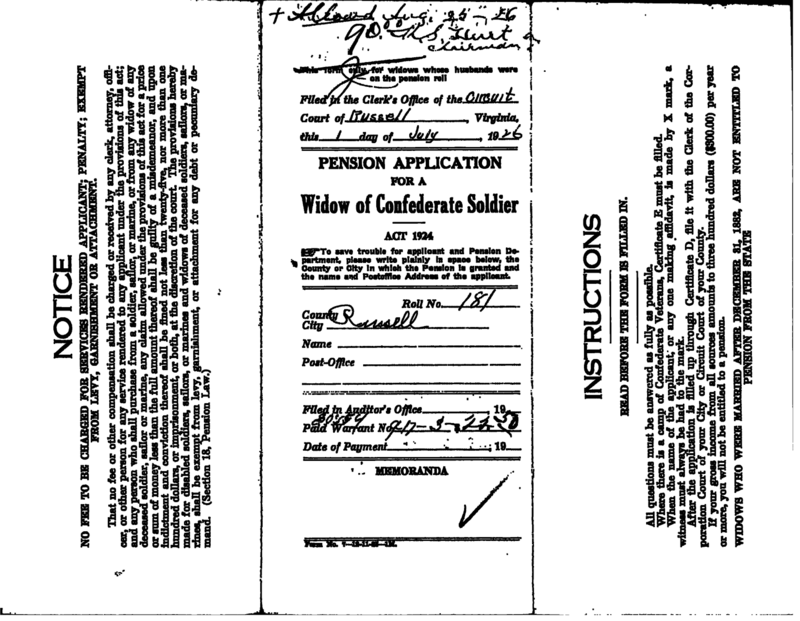 On the only muster roll of the company on file, that dated Aug. 31, 1863, he was reported absent, at home sick. No later record of him has been found.